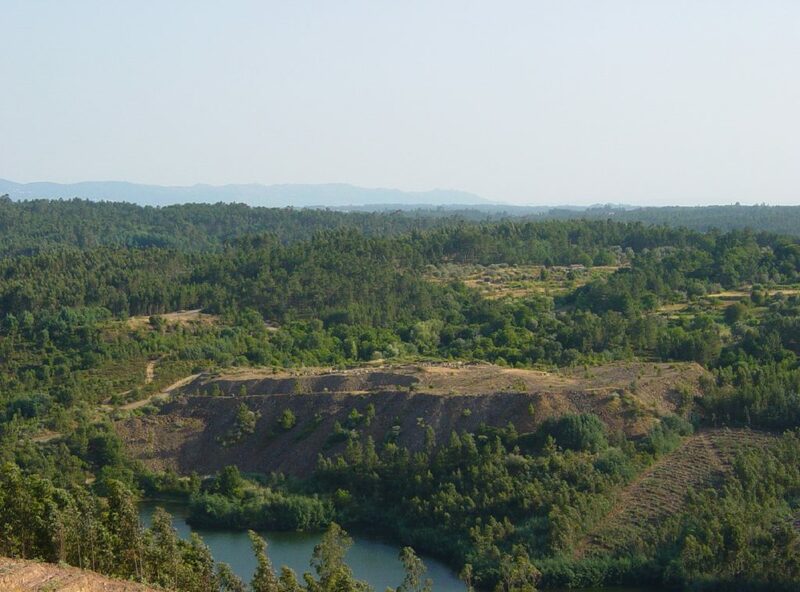 The former mining area of Mondego Sul is located in the municipality of Tábua, in the district of Coimbra, near the village of Ázere, on a hillside within the protection zone of the Aguieira reservoir. 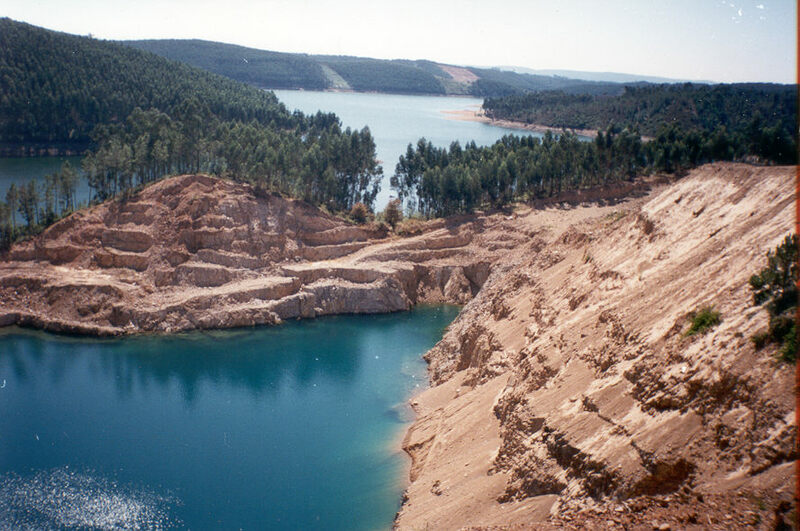 The mining area to be recovered is located next to the former mouth of Ribeira de São Simão, which currently forms part of the backwaters of the Aguieira reservoir. 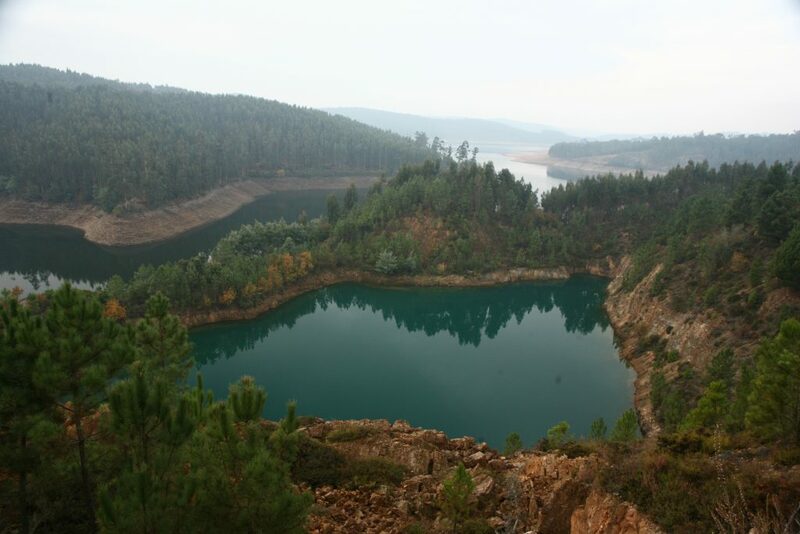 This mining area operated between 1987 and 1991, and 78,593 tons of ore with an average content of 0.095% were mined, producing 74,968 Kg of U3O8. No leaching operations were performed in this area. 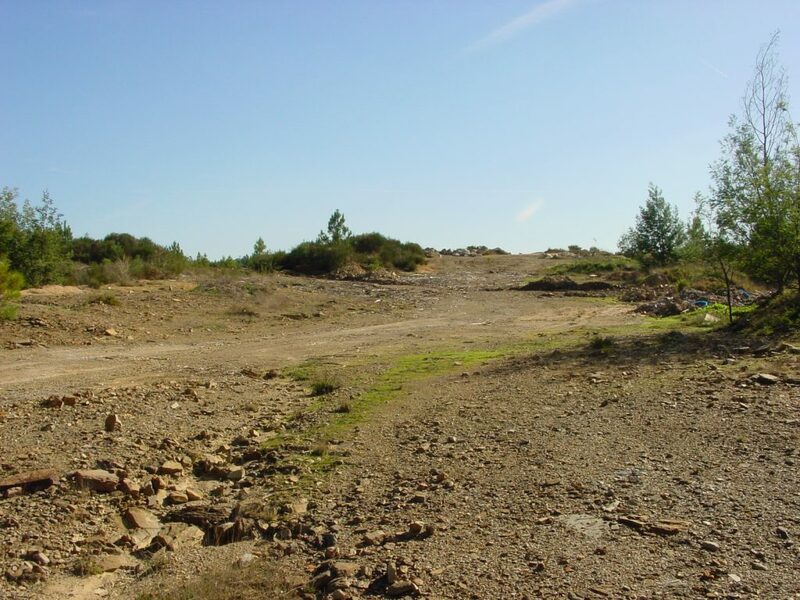 The area was operating as an open pit, there existing five open cuts built in 2- to 3-metre straight steps, with slopes varying from 45˚ to 60˚. These five initial open cuts were later expanded, eventually resulting in two, of which only one subsists, “open pit II”. This open pit has an approximate depth of 30 metres, a part of its northeast slope being in collapse. 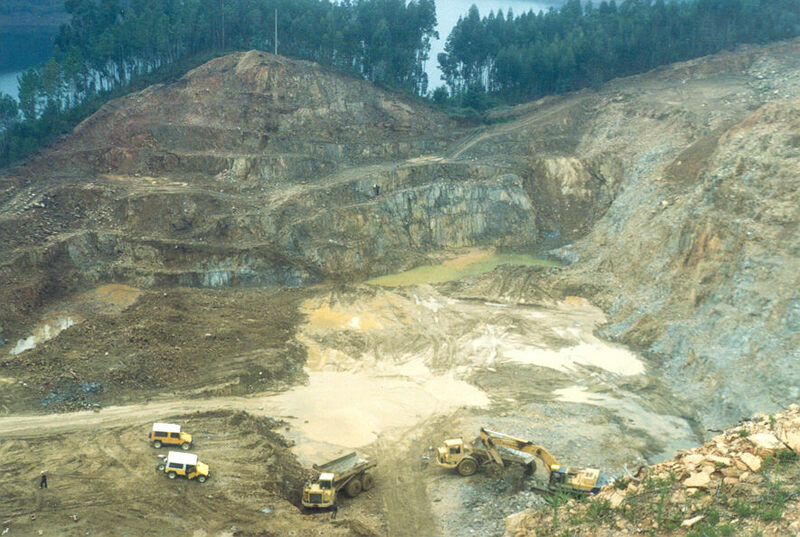 The materials removed from the mine were deposited in heaps, of which there are 6 (six) in the area surrounding the main open pit. The largest heap (E6) is located to the east of the cut and has a volume of approximately 550,000 m3 of sterile material. The remaining heaps total a volume of approximately 30,000 m3 of material. 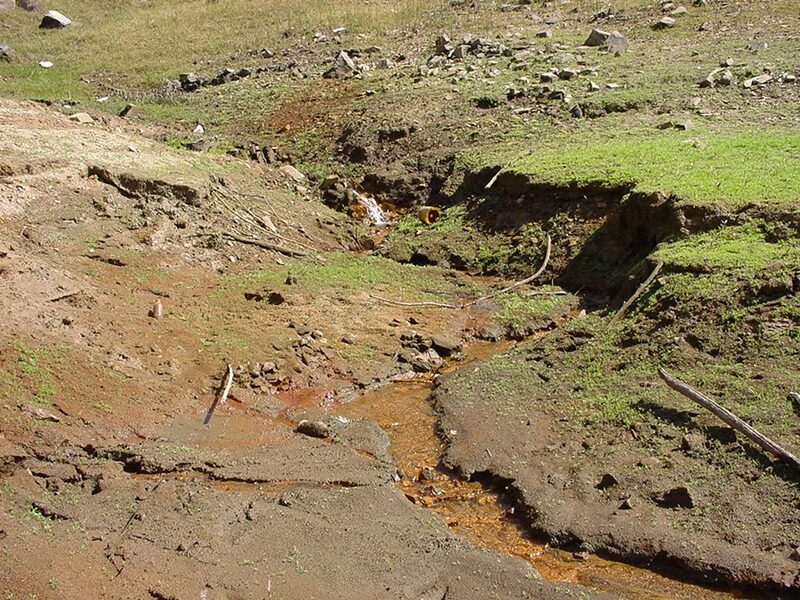 The surface of the heaps in question exhibit low to medium radiometric values, and are classifiable in the classes of materials resulting directly from extraction operations, without any type of processing or treatment via leaching. Landscaping, monitoring and control of local environmental conditions. 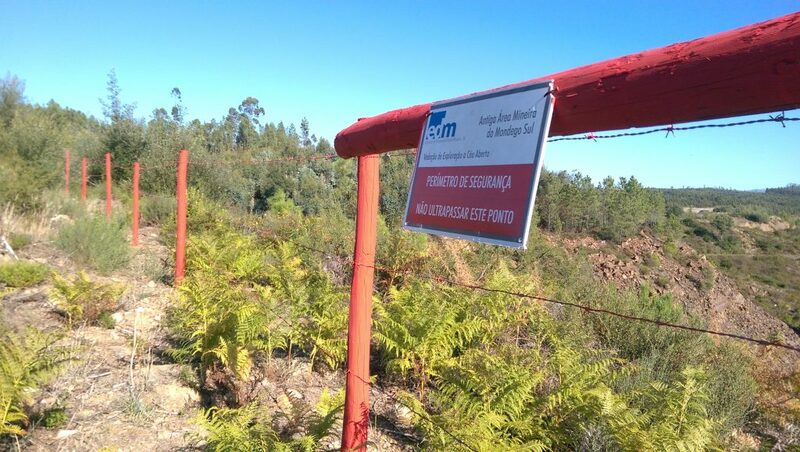 The investment is co-financed by the Cohesion Fund and will enable the environmental liabilities resulting from mining to be resolved in this area, bringing benefits to the local population by improving current conditions and enabling the use of the reclaimed areas for other purposes.